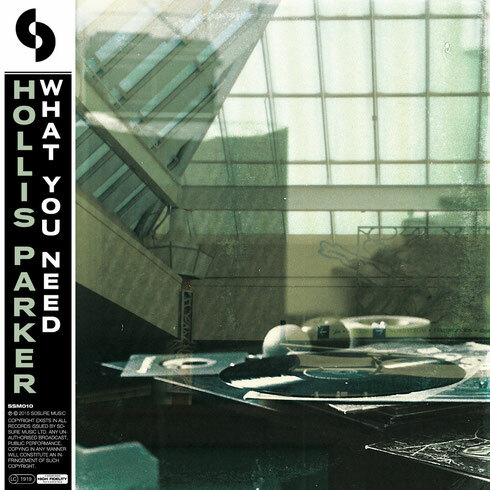 Hollis Parker has built a reputation for his soul infused house sound since stepping onto the scene via his EP ‘The Tunnel’ on SoSure Music in 2014. Accolades have come from the likes of DJ Sneak, Luke Solomon, Earl Jeffers, KiNK and Larry Heard over the past two releases and here he returns to his musical home with some fresh, sample-heavy compositions. Opening is title track ‘What You Need’ which sees Hollis deliver a soulful slice of authentic house music, fusing jazzy guitars, sax licks, flute flutters and bumpy bass stabs alongside swinging New Jersey style drums and filtered vocal murmurs uttering the track’s title. Following is ‘Too Blind To See’ which retains a similar aesthetic with swelling jazz samples, crunchy drums sounds and a smooth sun drenched feel, while introducing a hooky low-pitched vocal running throughout its six and a half minute duration. Last up to round off the package Hollis delivers ‘Mall Blues’ a more low-slung number with stunning piano melodies, dubby horn sounds and snaking double bass grooves, again resulting in something heartfelt and full of emotion. It’s out now, check it below.